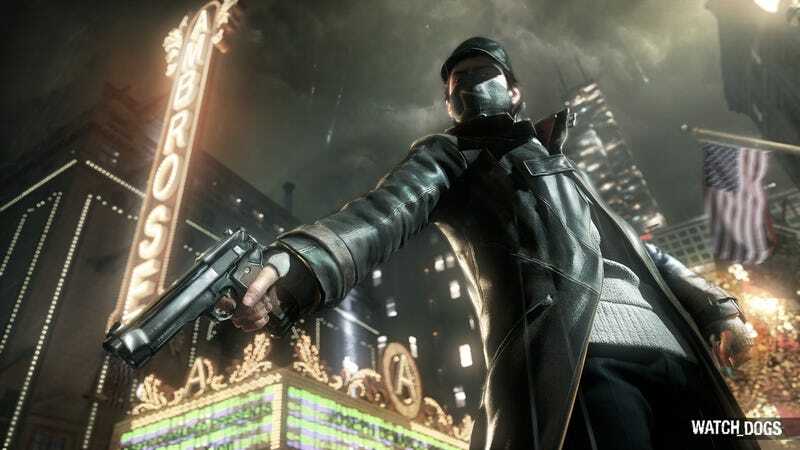 Fresh off a rumor saying Paramount is considering a Splinter Cell film comes word that several domains have been registered for a movie version of Watch Dogs, the surprise sensation of E3 after a strongly positive debut. Fusible, the domain watch dog watching Watch Dogs, says that just this week Ubisoft registered Watch-Dogsmovie.com and Watch-Dogsthemovie.com, among others. The timing of the registrations and the newness of the game (due for a 2013 release) make it a reasonable bet this is just a protective action to park ownership of a title, more than it is evidence of a deal actually in the works. Still, some day we're going to get the simultaneous release of a new video game and a movie based on it, instead of the other way around. As for Splinter Cell, Deadline reported that Paramount is the frontrunner to land a >Splinter Cell film, not least because the company has a lot of experience producing a bunch of other Tom Clancy-branded films.